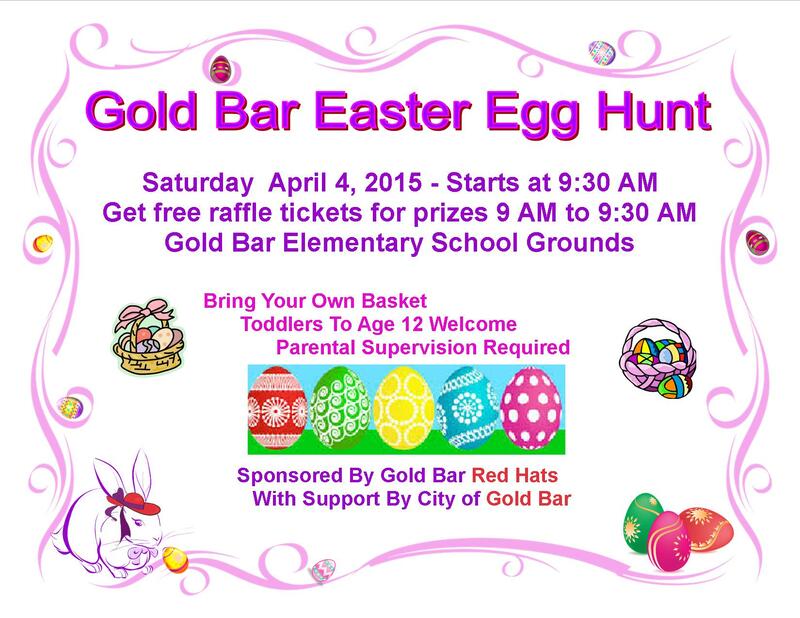 Gold Bar Easter Egg Hunt – Click here to view flier. Date & Time: Saturday April 4, 2015 – Starts at 9:30am. Location: Gold Bar Elementary School Grounds. Get a free raffle ticket for prizes – prizes will be raffled off after the egg hunt. Bring your own basket, toddlers to age 12 welcome.